a house of cards: Love to make cards??? 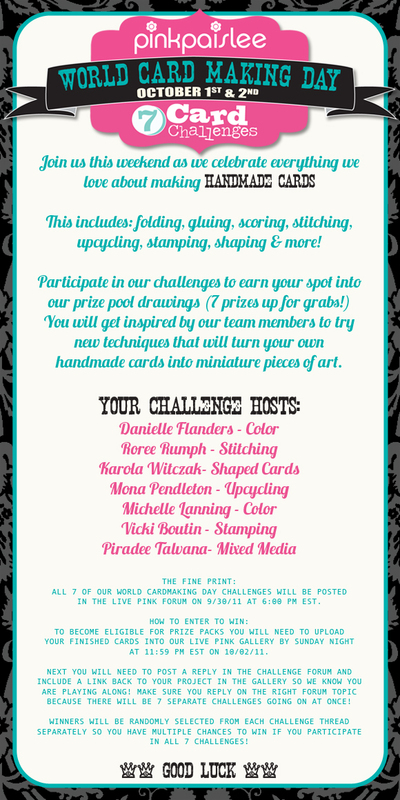 Come join us at Live Pink this weekend for World Card Making Day! 7 Challenges... 7 Chances to win! Is it too early for Christmas?? ?